iFixit and Chipworks this week X-rayed and dismantled the Apple A4 processor that powers the new iPad, discovering a three-layer design with two layers of Samsung RAM and one with the actual microprocessor. The extensive analysis provides a detailed look inside the technology, an in-depth analysis even for a company like iFixit that specializes in dismantling Apple's priciest hardware. The solutions provider had its first look inside the iPad on launch day, discovering a huge dual battery that gives the device its advertised 10 hours of battery life, and 256MB of system RAM. That RAM actually exists in two layers within the A4 package, with initial system memory supplied by Samsung. The construction gives Apple the flexibility to change the RAM to any other manufacturer they might choose in the future without remaining locked in to Samsung. Also of note is that the A4 processor does not have a Samsung part number on the die, which is different from previous ARM chips found in every iPhone model thus far. iFixit declared that it is "perhaps the clearest sign to date that Apple is now in firm control of their semiconductor design." The process employed a band saw to remove the processor from the motherboard it was soldered on to. 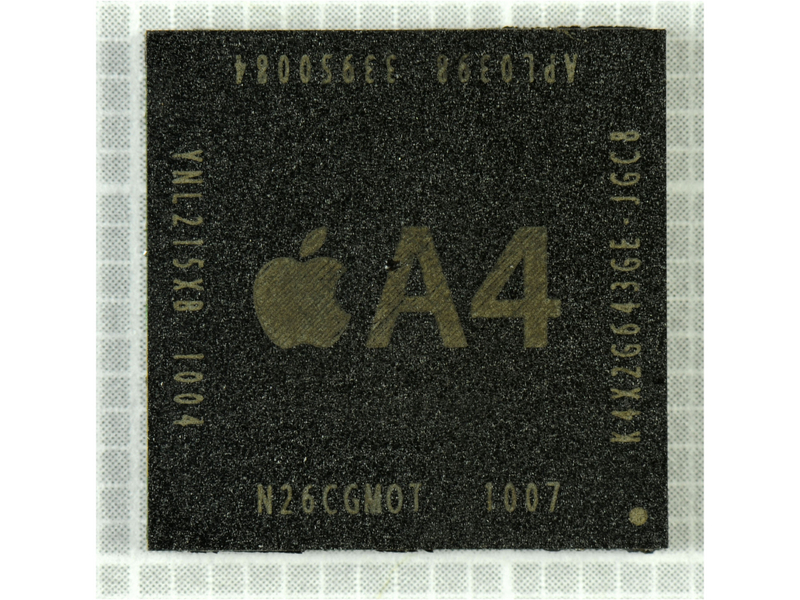 Next it was cut in half by grinding slowly through the processor, a process necessary because the A4 package is so tiny. Below is the photo of a cross section of the ARM processor and RAM package inside the A4. 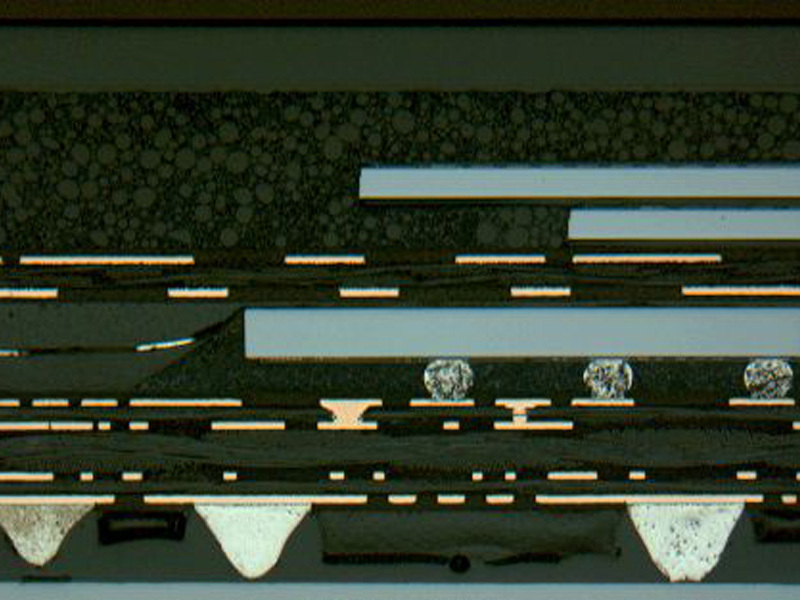 The processor is the center rectangle, while the silver circles underneath are solder balls. The two rectangles above the processor are the RAM dies, offset from each other to make room for the wirebonds. iFixit noted that having the RAM close to the processor allows for faster speeds and lower power consumption. 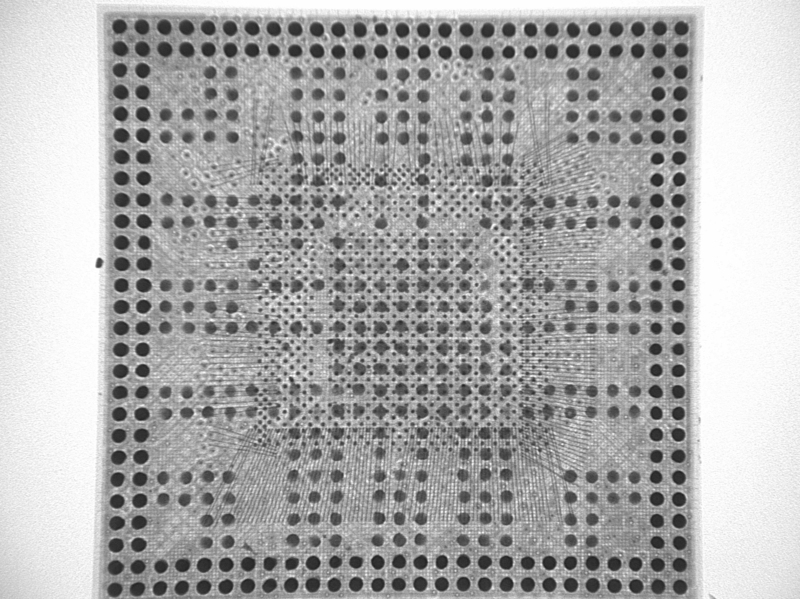 In addition to the three-layer design, the X-ray images show hundreds of thread-like interconnects, dubbed wirebonds, that carry the electronic signals between dies. "We don't expect to find any markings from PA Semi, Apple's recent acquisition, but it's safe to assume they played a major role in designing this package," they said. 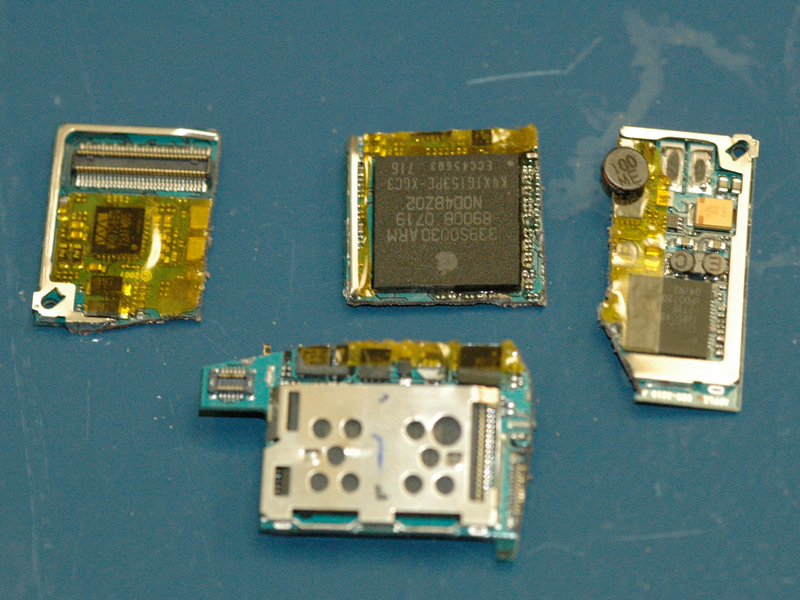 For more from iFixit and Chipworks, including photos of the rest of the analysed iPad hardware components, visit their Web site.